This is going to sound like the set up for a deep-sea disaster movie, but it’s not. Wired reports that a Chinese company has proposed an underwater deep-sea mobile mining station powered by a nuclear reactor. The goal is to put the nuclear powered underwater platform at work in the Western Pacific according to reports coming out of China. The company proposing the underwater platform is called China Ship Scientific Research Center. The underwater platform would apparently have gigantic propellers so that it could move around freely in the ocean depths and would have a crew of 33. That crew will be able to remain under the water for two months at a time. The main goal for the underwater platform would be mining on the ocean floor. 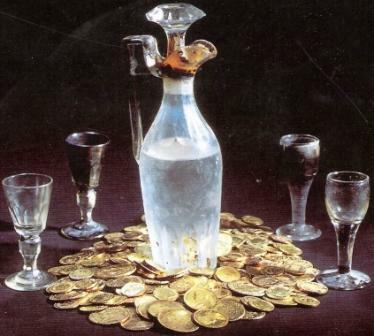 The platform hopes to look for copper, lead, zinc, silver, gold, and oil. Underwater mining endeavors have run afoul of environmentalists in the past, and I can only imagine environmentalists will have an even bigger problem with a nuclear powered submarine platform floating around in the ocean. The ship is expected to launch sometime around 2030. Before then a smaller craft with a 12-person crew that can stay underwater for 18 days at a time is expected to launch in 2015. It’s not clear if the smaller version of the ship would be powered by nuclear reactor, presumably it would. Another problem with the program for the West is that reports claim the project is being funded by the state 863 Program, which has ties to the military. Authorities in south China’s Guangxi Zhuang autonomous region are on the hunt for a cold-blooded menace currently at large on the Liujiang River. However, the target of their manhunt is not a serial killer, but a group of piranha that recently attacked two people in the river. Fishery authorities in the city of Liuzhou are offering 1,000 yuan (157 U.S. dollars) to local residents for every confirmed piranha kill. 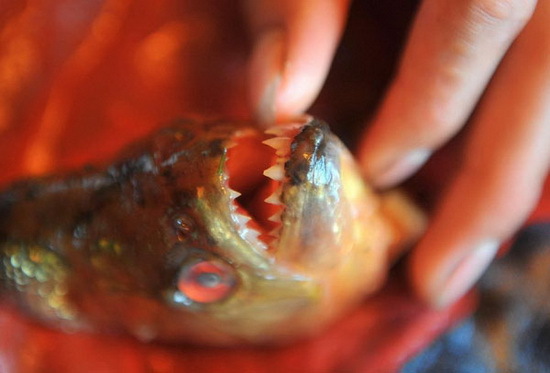 Two swimmers were attacked by at least three piranha in the Liujiang River over the weekend. One of the victims had parts of his finger bitten off by the fish. Experts and fishery officials said the piranha may have been brought to the country from the Amazon region in South America. Guangxi’s tropical climate makes it similar to the piranha’s natural habitat. “Piranha can reproduce very fast in environments similar to home. In addition, the piranha have no natural enemies here to keep their numbers in check,” said Zhou Jie, an expert at the Fisheries Research Institute of Guangxi. Liuzhou fishery authorities have invited experienced fishermen to hunt the fish, said Wei Yongwen, head of the city’s fishery and animal husbandry bureau.